Born and raised in St. Mary’s County, Bill attended the Washington Drafting School in 1971, and came back to dedicate his professional life and utilize his new skills in his home county. In July of 1972, he took a job at McCrone, Inc., a large company with several large branches throughout Maryland and Delaware. Even after his initial training, he still pursued continuing education coursework to ensure that he was as knowledgeable as possible about his career field. He attended various seminars and courses sponsored by the Maryland Society of Surveyors and the American Congress on Surveying and Mapping, and completed coursework through both Shepherd College and Penn State University. During his career with McCrone, he worked as an instrument man, draftsman, Party Chief, designer, and Survey Department Head, before becoming the Leonardtown branch manager in April 1988. In total, he worked at McCrone for more than 22 years before deciding to go into business for himself in 1994. Bill received his Property Line Surveyor Registration in 1980, qualifying him to perform lot, boundary, and subdivision work. He received his Professional Land Surveyor license in the state of Maryland in 1987, which allows him to perform road and storm drainage design as well. A skilled designer, he has completed numerous commercial and residential projects that included layout, grading, road plans, sewer and water extensions, sediment and erosion control plans, storm drain design, location surveys, and permits. Some of his more notable commercial projects over the course of his career include the layout of Dean Lumber, design of the Cinema 6 Theatre, complete site layout and design of the Harry Lundenburg School of Seamanship conference center, survey and site layout of the Leonardtown Centre. He also has extensive residential development experience, having completed surveying and design services for projects such as Shannon Run, Esperanza Farms, Cox’s Run, Glebe Run, and Bruce Knolls. Bill places a high value on both professional development and community involvement, as Southern Maryland has been good to him. Bill has been a member of the Maryland Society of Surveyors since March 1988, and served as President from 1990-1991. He has also been a member of the Leonardtown Club of the Rotary International since 1990. He is also a Past President of the Leonardtown Club (1995-1996). In January 2004, he was appointed by the County Commissioners to serve as a member of the Development Review Forum through December 2006. In what little spare time he has, Bill enjoys the fellowship of the St. Mary’s Rod and Classic car club where he currently is serving as president, as well as the many members of the Southern Maryland Corvette Club, an organization he helped found. As a hobby, he also enjoys carpentry, which he puts to good use in personal projects around the home and at community service events such as Christmas in April. 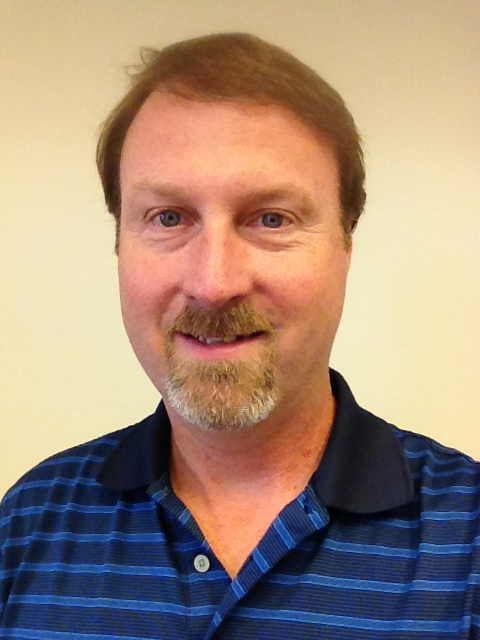 Mr. Hunt has over 29 years of surveying experience. He started out with FSI Design Group, and worked at both their Fort Washington and North Beach Offices. During this time, he was entrusted with some of the firm's most difficult projects, and led the firm's Survey Department into the new era of computer-aided drafting and design. During his career he has worked as an instrument man, Party Chief, Survey Technician, and Survey Branch Manager. He has been responsible for performing all design tasks of projects from start to finish; this includes surveying, forest conservation, wetlands and environmental issues, land planning, site engineering, record plats, and agency review coordination. He received his Professional Land Surveyor Registration in 2001 from the State of Maryland. In November 2002, after 19 years with FSI Design Group, Day & Associates, and D.H. Steffens Co., he joined the firm of Little Silences Rest, Inc., where he is currently the Vice President and Project Manager. As a Surveying Project Manager, Steve maintains the latest electronic equipment, including GPS and a robotic station, to gather field information for LSR. Steve is qualified by the Maryland Department of Natural Resources to conduct forest stand delineations and prepare forest conservation plans, which are essential in developing methods to protect plant and wildlife habitats in sensitive areas. Steve is also certified in conducting non-tidal wetlands delineations according to U.S. Army Corps of Engineers specifications, and preparing wetland permits and critical area reports resulting from these studies. Recently Steve acquired his Professional Land Surveying license. A Frostburg State University graduate with a degree in wildlife management, Steve is an avid outdoorsman, who has helped survey animal populations and provide environmental education in Calvert and St. Mary's counties. He has also been involved with the Monitoring Aviation Population Success (MAPS) breeding bird study and the Bird Air Strike Hazard (BASH) program at the Patuxent River Naval Air Station. Mr. Burroughs has over 30 years of Planning and Design of Commercial, residential and institutional developments. He received his drafting certificate in 1984 and his associates of Science in Engineering in 1995 from the College of Southern Maryland. During his career he spent five years with the St. Mary’s County Department of Public Works as a drafter and plans review. He then joined the firm of N G & O Engineering where for the next twenty-five years he was responsible for elements of design which include land planning, site development plans, preliminary plans, major and minor subdivision plans, road design, grading, sediment and erosion control plans, forest stand delineation and forest conservation plans, storm drain design, water and sewer design, landscaping and some stormwater management design. He recently joined the firm where he is currently serving as an Engineering Project Manager.